After an accidental death in the family, there are many urgent matters to take care of. Mourning the loss of your loved one is emotionally stressful and a very important part of healing and moving forward. 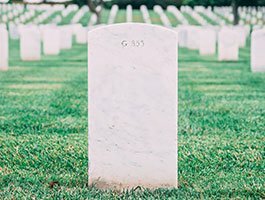 If the deceased person was a wife, husband, mother or father, the loss can be especially painful and difficult to handle. The death of a sister, brother, uncle, aunt, niece or nephew can be challenging, as well. There are most likely many practical matters to deal with such as wrapping up the loved one’s affairs and regrouping as a family. Most families have a hard time thinking through legal matters at a difficult time such as after a fatal car accident or golf cart accident. Survivors can trust our Ocala wrongful death lawyer to communicate tactfully and clearly with family members. We advise next of kin on how to gain access to life insurance benefits, how to pursue compensation through auto insurance and/or how to open an estate. Many of our clients have saved a great deal of time, money and aggravation by enlisting our help early on. There are no attorneys’ fees due to the King Law Firm until and unless we obtain compensation for your family. As our Ocala wrongful death lawyer prepares for a possible civil trial, we can provide valuable services that you might otherwise need to pay a probate attorney to perform. A wrongful death case is an example of a type of legal work we do that makes us proud to be lawyers. We are gratified to be able to help families in our community and nearby areas cope with some of the challenges that a fatal accident involving a loved one can bring about. Call or email our law offices to schedule a consultation. We can visit you in your home or in any mutually agreeable location if it is a hardship for you to come to our law offices. Our Ocala wrongful death attorneys offer initial consultations with no further obligation.